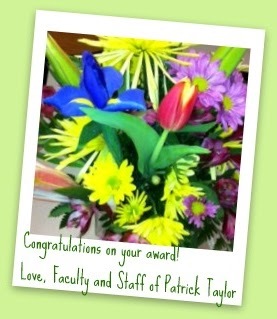 Look at what I got from my Patrick Taylor family! I took a photo so that I will always remember the beautiful flowers that arrived on Tuesday. That delivery was a really nice surprise.